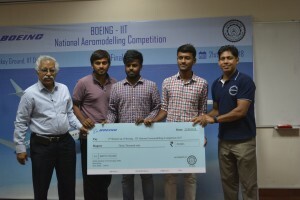 Aerospace giant Boeing organises National level Aeromodelling Competition annually to promote young talent with the vision to provide a unified national platform for students interested in aerospace and related engineering disciplines – to demonstrate their aeromodelling expertise. The Competition has two stages ie Zonals and Finale. Zonals are organised at IIT Bombay (West) IIT Kanpur (North) IIT Madras (South) and IIT Kharagpur (East). 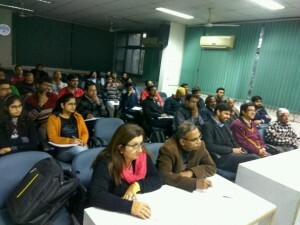 Coming to the Finale only the top 3 teams from each zonal are selected for the finals which is organised at IIT Delhi. 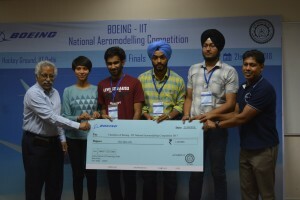 This year the fifth annual Boeing National Aeromodelling competition Finale which was organised during the Open house of IIT Delhi (21st April 2018) had witnessed a huge audience of 400-500 students. Pratyush Kumar (President – Boeing India, Vice president- Boeing International) had quoted it is really fantastic to see the budding talent and that the sheer talent and numbers are a testimonial to the immense potential of India’s engineering sector. He had personally congratulated the winners and awarded them the prize money which is a staggering 100000 for the winners, 50000 for the First runner’s up and 30000 for the second runner’s up. The event also experienced a huge media cover up among national and international channels. Prof.Naresh Varma Datla of Mechanical Dept. along with Tanmay Bunker CEO of Boltab Dynamics had been the judges for the event. Deputy Director Prof. M, Balakrishnan of CSE dept., Prof. PVM Rao, Prof. Amit Gupta and Prof. Supreet Sing Bahga of Mechanical dept. 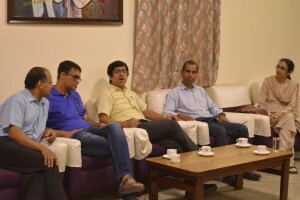 along with guests professors from IIT Kanpur and Kharagpur have appeared for the award ceremony on the same evening on the day of the Competition. 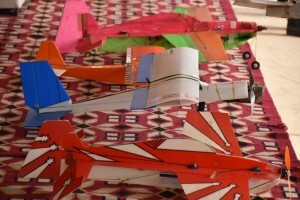 Aerotrix along with IIT Delhi’s Aeromodelling Club had jointly organised the event. This annual event is one of the clubs most cherished event as students with interest and expertise in aeromodelling from all over the country meet. CFD is currently a very fast growing field in mechanical engineering with its application in areas from simulations of gas turbine and rocket engines to studying of flow in blood vessels. This field requires a multidisciplinary knowledge of Computer Science, Numerical Methods and Mechanical Engineering (Obviously!). Research in this field is now primarily focused on more accurate numerical schemes and algorithms to solve Navier-Stokes equations. Researchers are working on development of more sophisticated turbulence models. To give more natural look to special effects related to fluid flow(Like smoke, flood) used in sci-fi movies researcher are woking on improving image processing based on CFD data. More info on this can be found at Making Animated Fluids Look More Realistic. Students can involve with the faculty members working in similar areas to get a gist of this field. 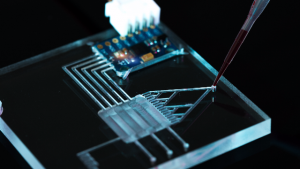 The field of micro-fluidics is quiet new on the horizon of mechanical engineering. This area deals with the study of behavior, control and manipulation of fluid flows happening at very small geometrical scales. It is multidisciplinary field at the intersection of mechanical engineering, theoretical physics, electronics, biotechnology and nanotechnology with its application in developing more efficient medical devices, clinical pathology etc. Recently people have started working on development of more efficient heat transfer mechanisms using microfluidic structures. 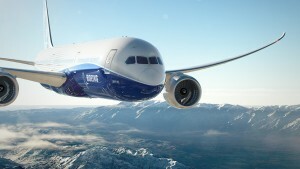 The new Boeing-787 Dream-liner is revolutionary plane which is much more efficient than its parent Boeing planes mainly because it is made of composite materials rather than conventional aluminium. 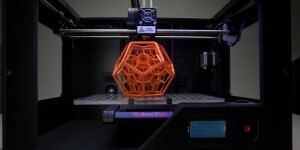 The area of composites is promising new heights to the whole sector of design and manufacturing. Researchers all over world are working on development of new composite materials that can withstand extreme stress and temperature. Students with good background in material science should consider working in this area. Whenever name of scientific advance came into our mind somewhere or the other we think about robots and autonomous machines. It is such a fascinating field that almost every engineering student have thought of working in it at one point or another in his life. This is a interdisciplinary field involving skills from computer science, mechanical and electronics engineering. 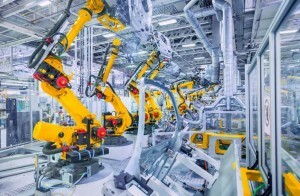 People are working on using machine learning algorithms to train robots to perform specified tasks in manufacturing sectors. Students can work on the projects related to design of mechanisms, feedback and control systems and information processing etc. We hope that this article provides you a comprehensive view of areas in which you can work to improve your skills and to better enjoy your courses. Again this is just tip of the iceberg, apart from above you can look for areas like propulsion, acoustic, vibrations, control systems, Bio-mechanics etc. The mechanical engineering society organized a talk titled “Financial Credit Risk” the mechanical engineering seminar room. interests lie in applied probability including in mathematical finance, Monte Carlo methods, and game theoretic analysis of queues. The talk mainly focused on mathematical models for conditional default probabilities for corporate loans simple closed form approximations to the maximum likelihood estimator (MLE). It was really an enriching one. The talk was attended by many Professors of the Mechanical Engineering Department and some research scholars of the field. Light Refreshments were also served during the course of the event. 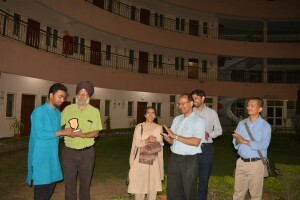 The event concluded with a gesture of appreciation from Prof Supreet Singh Bagha, President of the Mechanical Engineering Society and organizer of this talk. To end the journey of four years of Undergraduate life on a memorable note, farewell dinner for students of mechanical department was organised on 11th April,2018. 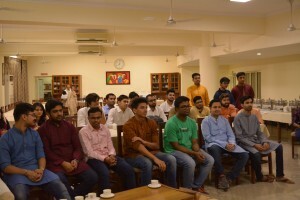 The program witnessed great participation from students as well as faculty’s side.The program begins with informal talk session with the graduating students and faculty members. Students shared their experience of four years with faculty members and rejoiced their stay in campus. Students shared the challenges they faced during their stay at IIT and exchanged ideas on how to improve the academic and social environment of IIT to further promote a better and balanced all round development of a student. Faculties also shared their memorable encounters with students and talked about the future career prospects and how they can make a difference in society. After that some informal games were organised which saw a great participation from both student’s and faculty’s side. Faculty and students were divided into four teams. 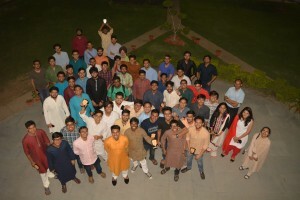 Then after dinner memento distribution ceremony was held in the lawn of faculty guest house. Finally all faculty members wished the graduating batch of mechanical department a very good luck for their future endeavors and an informal group photo-shoot was held afterwards. The mechanical engineering society organized a talk titled “Capillarity and Wetting: Fundamentals & Applications” on November 16, Thursday at the mechanical engineering committee room. The speaker of the event was Prof. Sushanta Mitra who is the Executive Director of the Waterloo Institute for Nanotechnology and a Professor in Mechanical and Mechatronics Engineering at the University of Waterloo. 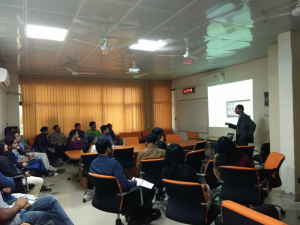 This enriching talk which gave an in depth knowledge about the capillary forces was attended by nearly all the professors of the mechanical engineering department and some research scholars of the field. Light refreshments were also served during the course of the event. The event concluded with a note from Prof Supreet Singh Bagha, the president of the mechanical engineering society and the organizer of this talk. 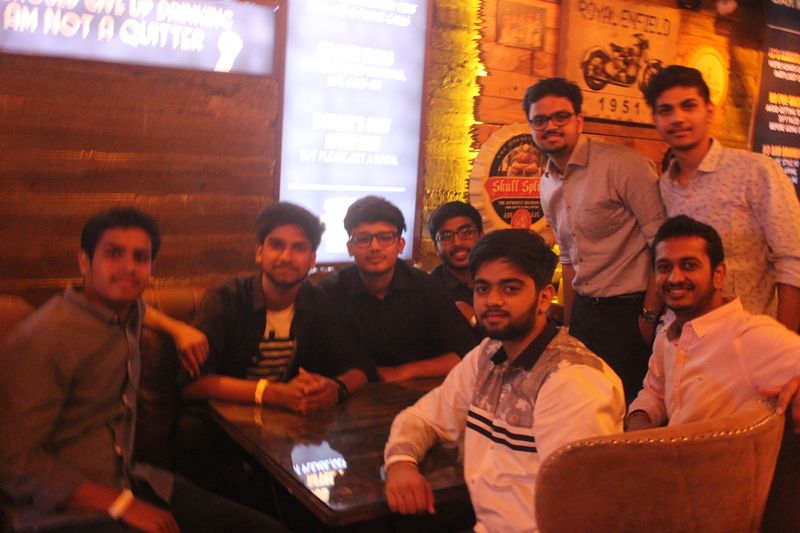 Continuing with the proud tradition of the Mechanical Engineering Department, senior students and newcomers of the department mingled with each other at the freshers’ welcome party organised by MES on 20th and 21st September. 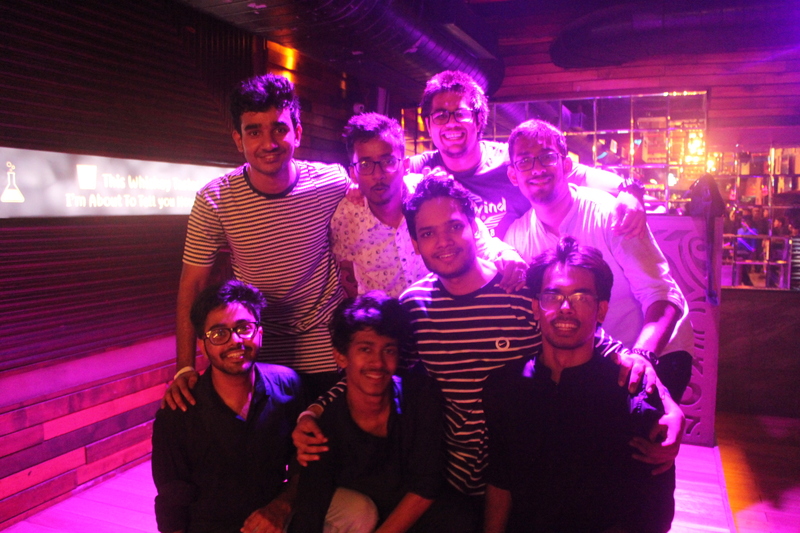 Aptly called Fresher’s Night, the purpose of the event was that every ‘fresher’ of ME Department feels like an integral part of the family and prepares to take on challenge of the journey ahead. For the first time ever, ME department Freshers’ Night was organized outside the campus, thanks to the untiring efforts of MES. Jovial smiles and high spirits marked the welcome party for the students. 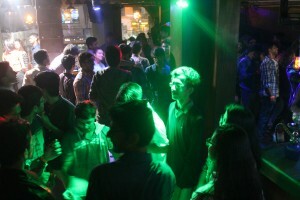 The party was organised on two consecutive days at the ELF Café, Hauz Khas Village where manifested youth and enthusiasm at its full flow. With pulsating ambience, flashing lights and foot tapping music, the party began with a blast. 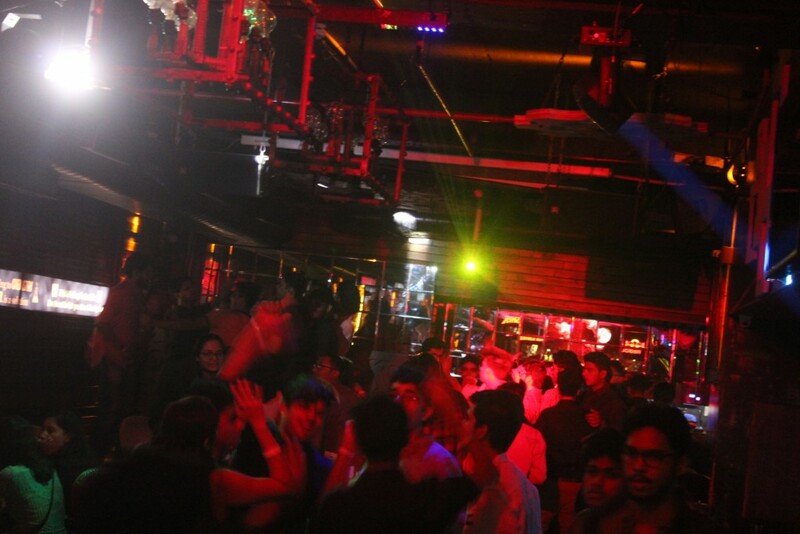 As the mercury began to rise, the dance floor was left open for some unbridled energy. Joy and happiness could be seen in students of each and every course at the college. They were having the time of their lives. Inquisitive about campus life and conscious of the latest fashion trends, the freshers dressed their best. 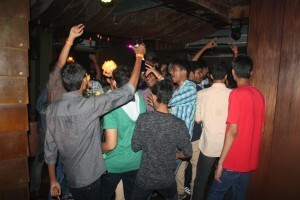 The freshers were served with scrumptious food and tropical soft drinks that tickled their taste buds. A ‘Mr. and Ms Freshers’ contest was organised at which the freshers got an opportunity not only to showcase their talents and but also to interact with the seniors. The contest included several rounds involving singing, dancing, talent display, dress parade and the like, which wove the magic of fun and joy in to the event. Finally, the program ended, leaving behind sweet memories that will be cherished lifelong. An interactive session between the students of Mechanical Engineering and the students who recently passed out of college in the quest of higher education was recently held. The students were mainly of PhD and MS courses that are pursuing their research field of interest. A number of important issues came to light in this session and many solutions were discussed amongst the attendees. The discussion moved on to comparing the education system at IITs to various other institutes. The involvement of students in the system was discussed next. 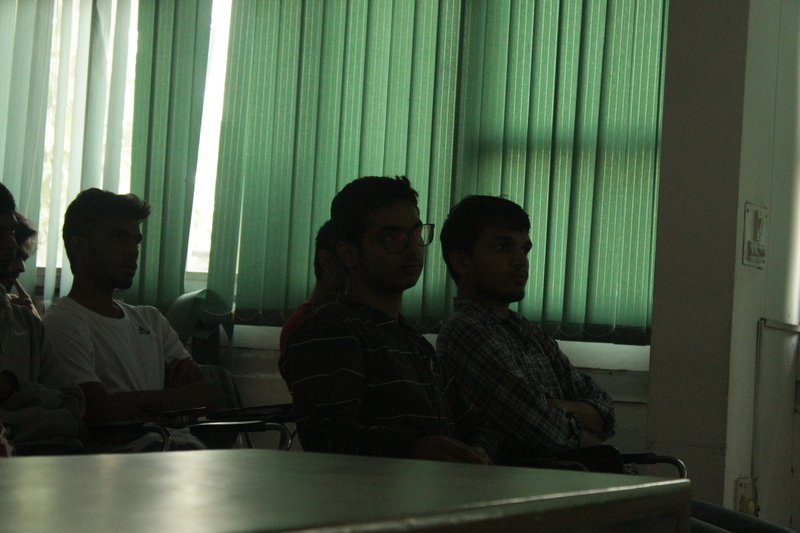 Students were also told about the vast varieties of projects offered to them as IITians. 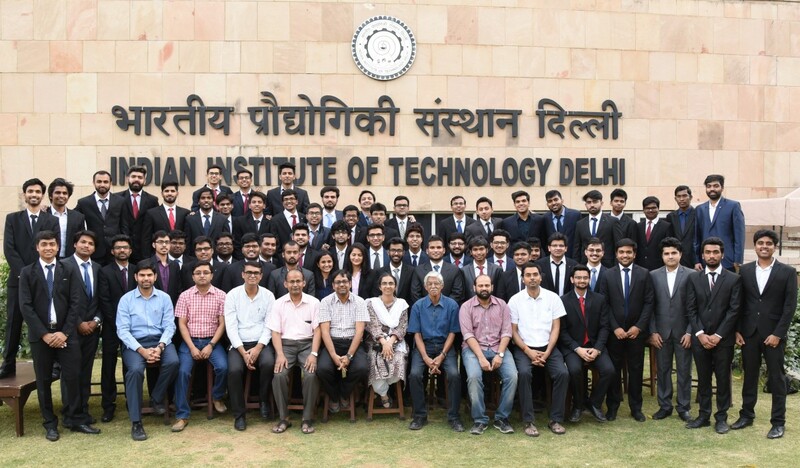 Students were encouraged to gather information about the courses they are opting for and choose wisely, so as to take the maximum benefit of the facilities offered at IIT Delhi, including the labs. They emphasised on developing the ‘Maker-Culture’ that is prevalent in most universities abroad. It was emphasised that the students must change their attitude towards studies, and since they are a part of IIT Delhi, they must realise and utilise the full potential of the various facilities offered by the institute. The various opportunities offered by the online courses were also explained. Shifting to the topic of the research projects for the students, the speakers encouraged the students to reach out to their professors. The various pros and cons of long term projects versus industrial internships, especially in IISC or any foreign university were discussed next. The various benefits of taking up a B.Tech project were told as well. After some talk on the project opportunities the topic of the discussion changed to ‘Writing SOPs’. The importance of a good SOP was conveyed to the students. They were encouraged to write their own SOPs instead of copying from other sources. A stepwise method of writing an SOP was discussed. The major points covered included writing about their own skills, how they’ll be of value to the ongoing research. It was noted that the SOP needed to be different from the CV of the student. The motivation of the student for a PhD must be conveyed through their SOP. Some information about the field one is applying for must be covered in the SOP. Students were advised to reverse think while, and write that content in their SOPs for which they would actually offer someone else a position. It was emphasised that the students must only write those facts in their SOPs which they have the proof for. Last but not the least the importance of starting early was discussed as well. The discussion then moved on the other aspects like applying at different universities. Students were advised to take up multiple and diverse projects, as the universities understand that under graduation is an exploration period. The process of gaining funding for the projects was discussed next. For the students of the MS programme, no official funding is generally available, they were advised to be in contact with their professors of choice as that would increase their chances for a scholarship/funding. For PhD aspirants, most institutes offers some funding. Another medium for funding is getting a fellowship. For example, the Purdue-ISRO fellowship is reserved for students from IIT and IISC. For getting a TA-ship the importance of the GRE and Toefel scores was emphasised upon. Though most of the times trying to contact professors in top universities might go in vain but if it does work out, nothing like it. The work culture amongst the students was discussed next. Students were advised to maintain a high attendance and take the work seriously instead of waiting for deadlines. In higher education, it’s very important to have a very enthusiastic research group, which works collaboratively so that everyone remains motivated. Moreover the resources are abundantly available in universities abroad. Students were also advised to look out for possible positions in European Universities. Concluding the session, there was one point that was common to everything discussed. Just figure out what you really enjoy doing and pursue it relentlessly; everything else will follow. 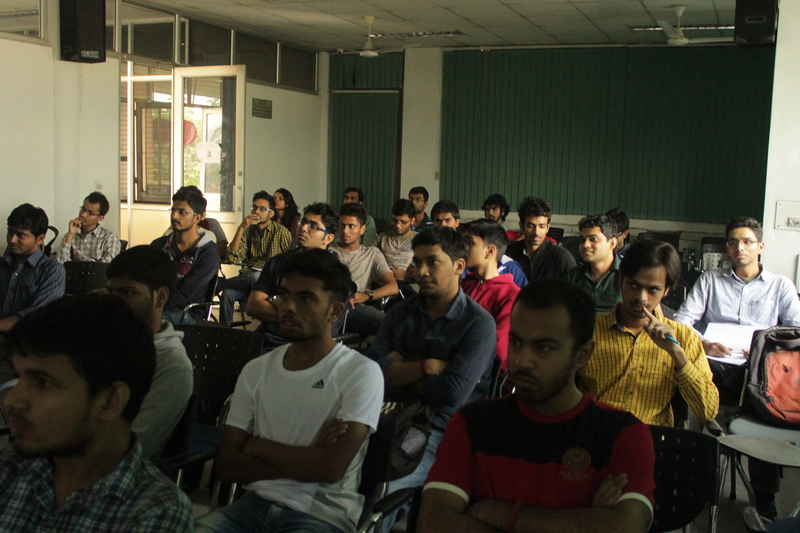 The session saw a participation of 43 undergrads and was a successful session. Looking forward to more such informative sessions from the MES! Germany- the Land of Ideas holds a strong research repute all across the globe. With numerous labs doing cutting-edge research, finding a position in one such places can definitely be a stepping stone in one’s academic career. I was more than thrilled when I got one such opportunity to work as a research intern under Professor Bähre at Lehrstuhl Für Fertigungstechnik (Institute of Production Engineering), Universität des Saarlandes (Saarland University), Germany during the summers of 2015. My internship lasted for about 10 weeks in the beautiful city of Saarbrücken, located on the fringes of the Franco-German border. My work was primarily based on understanding the effects of residual stresses in some of the state-of-the-art manufacturing processes through Finite Element Modelling (FEM). I was supervised by my Professor and was directly working with the P.hD. who both guided and monitored my daily progress. I worked independently most of the time and involved myself in a lot of reading. Quite often I discussed my findings with my colleagues over lunch. It was during this that I learnt the nuances of German food and culture. There were interns also from other Asian countries and it was fascinating to learn about their cultures and lifestyles. My day in the lab usually started early and ended late in the evening as it was always fun and enriching to work in such a conducive atmosphere the lab had to offer. The lab was well equipped and had some excellent infrastructure. Germany has an amazing work culture. People are generally hard working and disciplined. If work is serious business, Germans make sure they even party hard during weekends. It was quite common to spot a barbecue in the evenings. Most of my free days were spent in exploring Europe. Saarbrücken being close to the Franco-German border, travelling to French cities during the weekends was fairly easy. The German rail network (Deutsch Bahn) is simply awesome. It’s fast, punctual and connects most European cities and towns. With a EuRail pass, one can easily visit several places and experience different cultures and flavours Europe has to offer. The department officials there took care of all my paperwork and made sure my stay in Germany was comfortable. I was given an apartment close to the University which I shared with one other student. Unlike otherwise believed the food was not an issue for me. 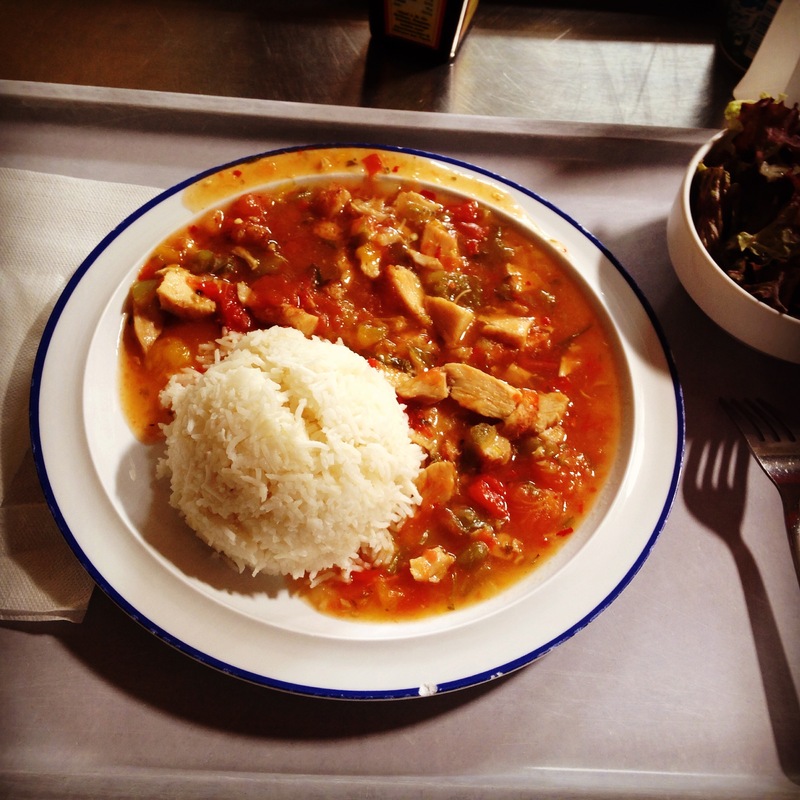 There was a common university mess which served all types of cuisines which also included a vegetarian meal. Indian lunch was also prepared once a week. Personally I loved the typical German breakfast which consisted of fruits, vegetables, different types of meat, seeded bread, and coffee. During snack time, I munched on some delicious muesli or on some occasions tried to cook myself. Cooking was something I had never done before but having a roommate who loved preparing dishes I decided to give it a try. Indian spices were readily available in the supermarkets and it was fun cooking some spicy food for my roommate and myself. Overall it was a pleasurable experience in Germany. There was a lot to learn both academically as well as on a personal level. It was indeed one of the most wonderful experiences I’ve ever had. 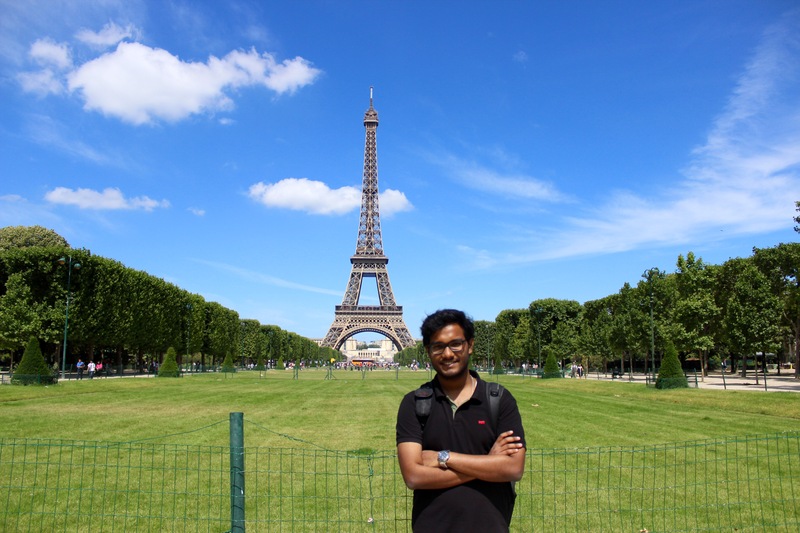 I got an opportunity to do a summer research internship at TU Delft. It’s situated in Netherlands and is ranked among the top universities for Mechanical Engineering. I had some interest in learning more about DEM (Discrete element methods) and its practical uses, so I bagged the chance as soon as I got it. Upon arriving I was first given an orientation of the equipment, machinery and software that I would be using. This lasted for a week and included various tutorials and practice tasks. Then I was explained my main internship goal and the related details. I had to work on a research paper along with 2 students who had just begun their PhDs. My research was on Efficient Mechanism for Transportation of Biomass (such as coal, wood pellets etc.) and the existing European Union Standards to test the durability of biomass. This was mainly to be done by experiments and simulations. My supervising Professor helped me a lot in my approach towards my work and her guidance helped me a lot. I first carried out a literature survey to find out more about the existing research on the related topic. After I got a fair idea of the task I created a layout of my future approach and planned my work accordingly. I had weekly meetings with my team and the Professor where I had to give a presentation about my work updates and what I plan to do ahead. This also helped me in a way as by knowing their opinions after the presentations I got to learn new aspects of thinking and ways of enhancing the quality and strength of my work. I was given full liberty to model the path in my own way and was given full and quick support whenever I needed some project related stuff. It was a good test of my management skills as well. I completed bulk of my designing and modelling work 2 weeks before my internship was supposed to end and after that I only had to do iterations on enhancing the quality of data generated and fairing out my work. In the end we received a strong research paper that would hopefully be presented in a conference early next year. It was a wonderful experience to meet new people and witness a totally different culture and working environment. Surprisingly I didn’t find much problem in blending with the people out there as they were mostly friendly and often helping too. I had many fun moments with my team in the evenings, in the labs and at the lunch table (a place where one laughed more than what one ate J ). I also got a chance to visit numerous places in Europe along with my friends (Guess those were the most memorable moments). My last week was really nice, where my Professor and the team gave me a grand farewell party. Start applying early and don’t apply just for the sake of going abroad. Apply only in the things you are interested. Have good communication with your team and you will definitely be able to smoothly work out your way and even give out better results.